One of the curious aspects of being a modern Internet user is figuring out how to manage your passwords. 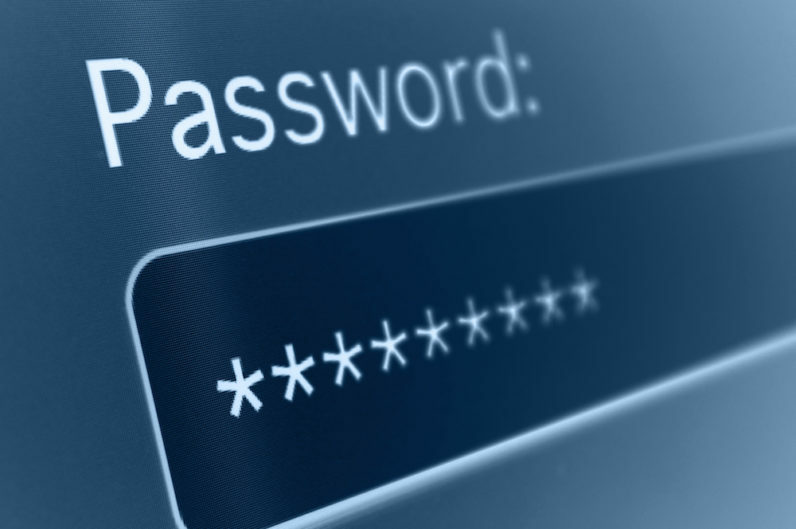 Most sites, whether commercial or recreational, have log-in screens or other account info, and it’s up to you to remember passwords for these numerous accounts. 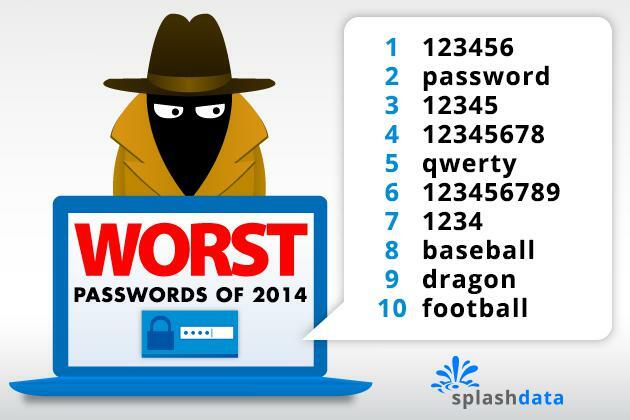 You could use the same password over and over for everything, but that’s not a terribly safe choice. You could keep a list where you write down your different passwords to each site in order to keep them all straight, which is also not safe. You could opt to use a password-management service to handle them for you, which is a bit unwieldy for most users. And if you need to come up with a new password for each account, you might find yourself employing a puzzly technique like Mira Modi’s in order to conjure up a password. 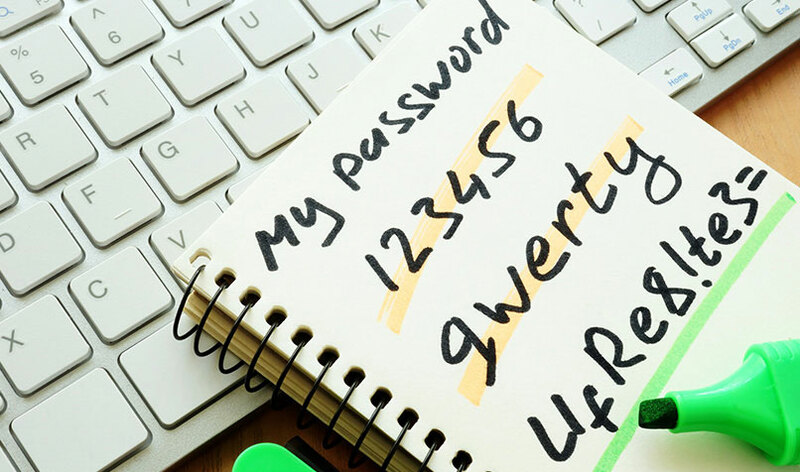 Recently, Gizmodo writer Rhett Jones posed a password-centric brain teaser to his readers, asking why the seemingly safe-looking string “ji32k7au4a83” might not be a good choice for a password. Can you puzzle out why? I’ll give you a few moments to ponder it. All set? Okay, here we go. Yup, as it turns out, that random string of letters and numbers isn’t particularly random after all. You’d be better off using a technique suggested by one of my fellow puzzlers. To generate her random passwords, she composes a sentence related to the website, then uses only the first letter of each word in that sentence as the base for the password. Toss in a number or two, and voila, you’ve got something that appears to be gibberish, but is easily recalled and reassembled for your own use. Pretty diabolical! Give it a shot and let us know how it works for you! Wait a minute, didn’t you write about robots and Rubik’s Cubes just last week? Yes, gentle reader, I certainly did. But, as it turns out, that iconic little puzzly cube and all its twisty brethren are incredibly useful to AI and robot designers. Not only do the acts of pattern recognition, visual assessment, and solving provide ample challenges to programmers — both in terms of speed and efficiency — but the physical manipulation of the cube itself is a frequent subject of testing. At one point in time, it was considered an accomplishment when a robot arm could pick up something as delicate as an egg without crushing it between a pair of pincers. 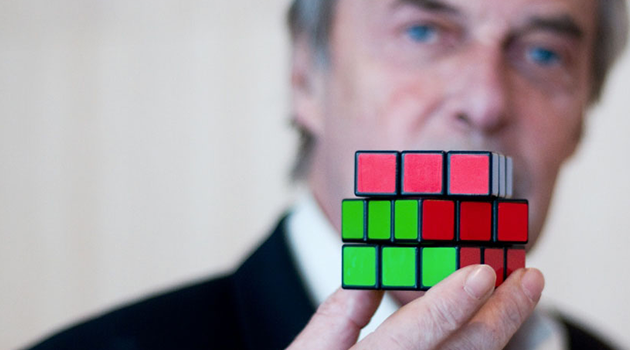 But as researchers from the University of Tokyo’s Ishikawa Senoo Lab demonstrate — with the assistance of a high-speed camera monitoring the subtle movements — this agile three-fingered hand can manipulate and reposition Rubik’s fiendish puzzle cube with impressive dexterity. This is a very different mechanical rig when compared to some of the other speed-solving rigs we’ve seen before. Instead of an elaborate array of motors and manipulators, it’s simply a few limber fingers. 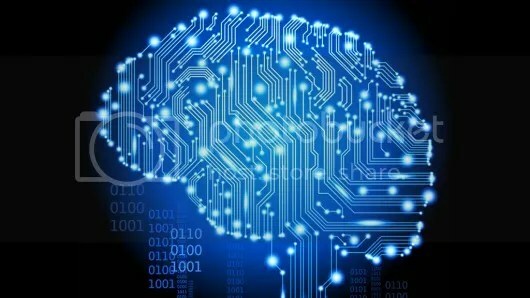 This level of dexterity could prove to have all sorts of applications, from robotic surgery and meal preparation to improving bomb-defusing equipment and hazardous material disposal. And all thanks to this twisty little puzzle. That’s pretty cool. It’s no secret that we’ve got skin in the puzzle app game. The Penny Dell Crosswords App is our flagship project, and it’s part of a thriving puzzle app market. But if you think back, mobile puzzle gaming really started decades ago with Nintendo’s Game Boy handheld video game console. It was a precursor to the smartphone app system we have today, even if the Game Boy didn’t exactly fit in your pocket. And at a time when classic video game systems are being revived and re-released — the 8-bit Nintendo Entertainment System, the Super Nintendo, and the Sega Genesis have all seen repackagings in the last year — could a Game Boy revival be far behind? The crew at Gizmodo think so, and they made a list of 25 Game Boy games that belong on a revived system. And as you might expect, there are several puzzle games suggested. 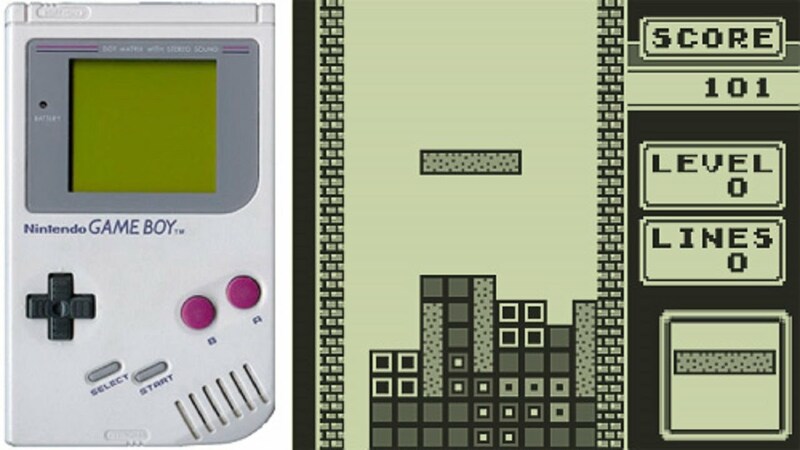 It makes sense, because many industry experts attribute some of the Game Boy’s success to the fact that every machine was packaged with a copy of Tetris, the addictive piece-moving game. But that wasn’t the only puzzle game to make an impression on young gamers. Dr. Mario was all about pattern-matching in order to eradicate different colored viruses with stacks of similarly colored pills. 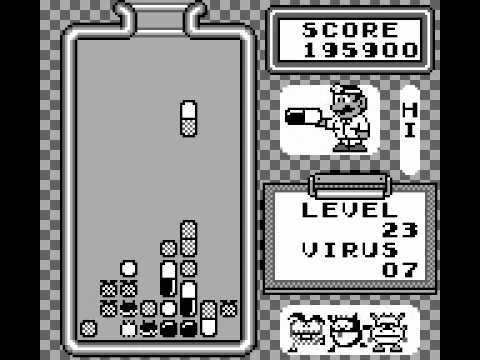 Either as a one-player challenge or in competition with another player, Dr. Mario taxed your ability to strategically use each pill provided, trying to eliminate as many viruses as possible. 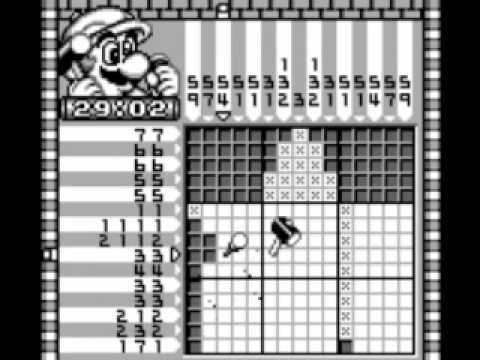 And for a pure puzzle solving experience, there was Mario’s Picross. This was a logic art puzzle where you had to use the lists of numbers along the top and side of the grid to deduce where to place black squares in order to reveal an image. Although there was a timer attached to each puzzle, it wasn’t nearly as stressful a solving experience as Dr. Mario or Tetris, and it introduced an entirely new form of puzzle-solving to many young gamers. Without the Game Boy and these puzzle games, it’s hard to imagine the success and growth of puzzle apps like the Penny Dell Crosswords App. Birds have a monopoly on Monopoly! The folks at Monopoly are constantly trying new things in order to stay relevant in today’s ever-evolving game market. When they celebrated Monopoly’s 80th anniversary in 2015, some of the games were sent out with real money instead of Monopoly money, which is a fantastic idea to promote the game. In 2013, though, they tried something different, offering a more permanent change. They replaced the token of the iron with a token of a cat. Hazel the Cat. I was less enthused with this change. But, hey, it’s just one token. No big loss. You’ve still got Scottie the dog, the thimble, the race car, the boot, the battleship, the wheelbarrow, and the top hat. Back in January, Hasbro launched an Internet poll to determine a new lineup of tokens for editions of the game going forward. You could vote to keep the current lineup, or you could select nominees from a list of dozens of possible replacements. Those potential replacements included a goldfish, a trumpet, a telephone, a monster truck, a life preserver, a beach ball, a set of cufflinks, a bulky old cellphone, a bunny slipper, and several emoji faces. Hasbro announced the results of their poll, and several of the original tokens didn’t make the cut. That’s right. Not only did Hazel the Cat stick around — ugh! — but the boot, the wheelbarrow, and the thimble are gone. They’ve been replaced with a rubber duck, a penguin, and a Tyrannosaurus rex. Granted, I for one am grateful that none of the stupid emoji characters — like the crying-laughing face or the smooch face — made it into the game. But to see the thimble go hurts. I conducted an informal poll among my fellow game fans and puzzlers, and the thimble and Scottie the dog were far and away the most popular. Oh well. At least now there’s the option for a rule about a T-rex stomping someone’s house and causing property damage. That would be one heck of a Chance card. These brain teasers are the cat’s meow. It’s difficult to write about the potential health benefits of puzzles. Believe me, I’ve tried. 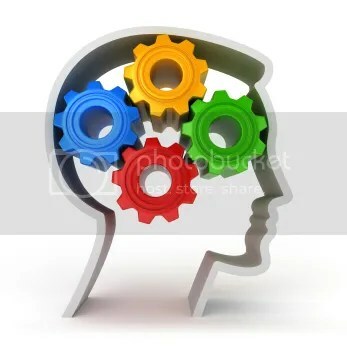 But many scientific articles, research studies, and other professional analyses disagree on the short-term or long-term benefits that puzzles have on the brain. There’s a wealth of material out there on brain health and the impact of puzzles, but much of it is inconclusive. That’s less of an issue, thankfully, when writing about other puzzle-solving creatures, though. In the past, we’ve seen crafty cockatoos, clever crows, outwitting octopuses, and deductive dogs. 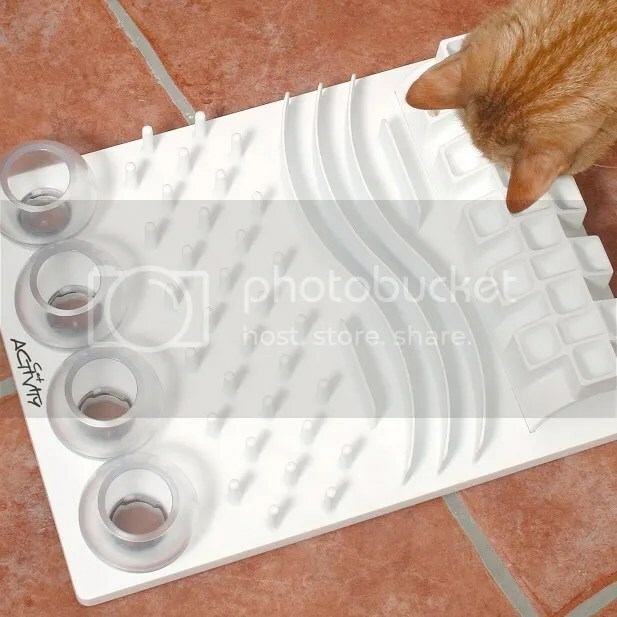 Apparently, we can also add cats to the list of fellow puzzlers! A recent article in the Journal of Feline Medicine and Surgery reports that their findings indicate that a healthy dose of puzzle-solving at mealtime is beneficial to a kitty’s welfare. Apparently, it’s all about engaging the cats, giving them something to work against in order to earn the food. The case studies cited by the report include behavioral issues and obesity that were overcome thanks to the use of food puzzles. 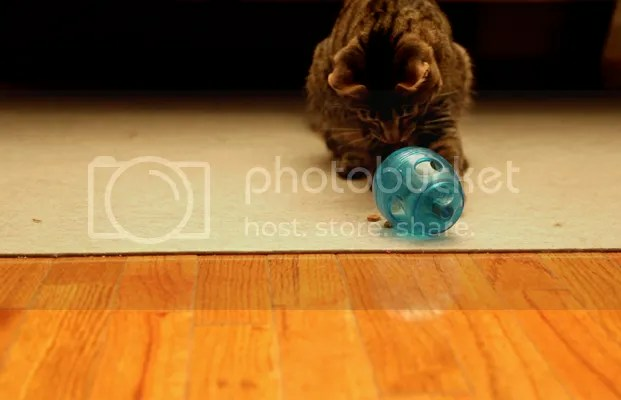 I already knew that cats were skilled at treasure and scavenger hunts — based on the absolutely ludicrous places I would find the toys my sister’s cats left behind, often weeks after their visits — but I had no idea they belonged among the elite puzzle-solving animals we’ve previously chronicled here. Makes sense, though. I solve puzzles for snacks sometimes. *shrugs* It’s a living.